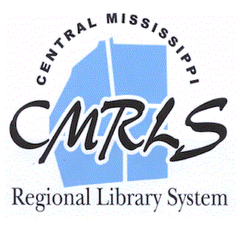 CMRLS News: A "Daughter's" Life of Love, Pain, Forgiveness and Healing! Talk About It At the Pearl Public Library! A "Daughter's" Life of Love, Pain, Forgiveness and Healing! Talk About It At the Pearl Public Library! It's another good read at the Pearl Public Library! Amy's next Chapter 1 Book Club meeting, which is on Tues. July 10 at 6 p.m., is sure to spark emotional conversation! 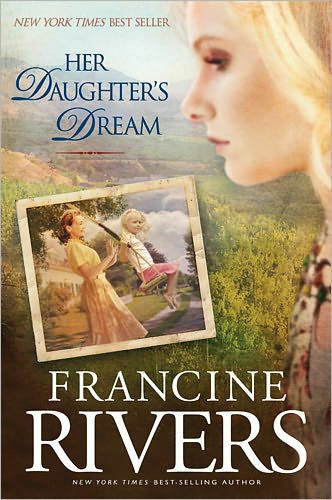 Her Daughter’s Dream by Francine Rivers spans from the 1950s to present day. It’s about destructive familial sorrows, and the forgiveness that heals even the worst of pains. In a situation that would make life tough for anyone, little Carolyn Arundel sure didn’t have life easy. For a time her mother Hildemara (Hildie) was quarantined to her bedroom with tuberculosis during which time Carolyn’s grandmother Marta was there to help. Carolyn forms a special bond with her grandmother that she thinks caused tensions between Hildie and Marta. Well, Hildie gets better and goes back to work which allowed Marta to return to her home. This was during the Cold War when fear was rampant throughout the world, and it was a time when Carolyn and her brother, as latchkey kids, fended for themselves. Time goes on and Carolyn sees college as an opportunity to find herself. When a family tragedy threatens her independence, she doesn’t go home but rather cuts all ties and escapes into the nonconforming culture of San Francisco. Two years later she returns home to rebuild a life for her and her daughter May Flower Dawn. As often is the case, history repeats itself, and May Flower Dawn forms a special relationship with her grandmother Hildie. Another kink between generations ensues. But, May Flower Dawn wants to do everything possible to avoid the same mistakes of the past. Her aim is to be a stepping stone in her family to build relationships and not a stumbling block that separates. Her Daughter’s Dream is the conclusion to the New York Times best seller Her Mother’s Hope. Author Francine Rivers, in this final chapter about mothers’ sacrifices for their daughters, illustrates the amazing essence of unconditional love. WOW! You can’t miss this! No reservation or membership is needed. Just stop on by and join in the discussion. Remember, the Chapter 1 Book Club is a free adult program that meets every second Tuesday of the month at 6 p.m.